Tap center to turn dim on/off/after sunset. Tap month or date to open calendar. Tap lower subdial to switch modes. 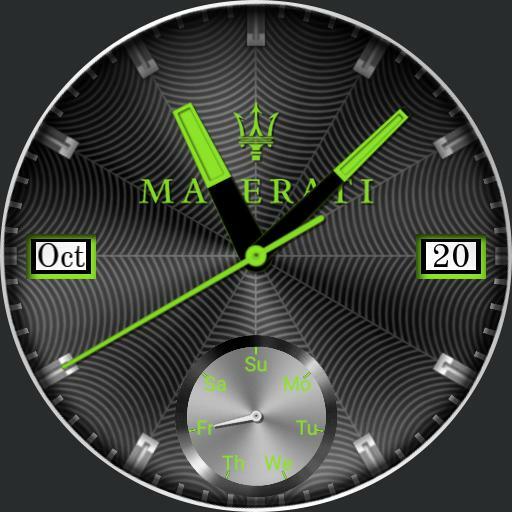 Tap Maseratti logo to pick color.